This template was submitted by Tosanaji Prakoso (TOS CRAFT). 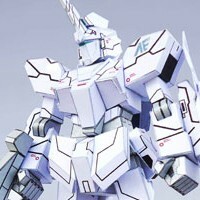 He shares with us his new paper craft template, Unicorn Gundam normal mode. Unlike the previous model from Paper Replika which is the destroy mode, normal mode is really look like a unicorn, with mostly white color and with a single horn on its head. The normal mode also shorter than destroy mode. The model which Tosanaji shared is quite a simple but still with the sense of detail in it. Assembly instruction is in PDO file. If you like his template design, you can buy a complete armor set template for USD $3.50, we only accept Paypal. For other payment method please contact TOS CRAFT. 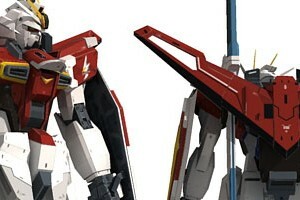 This is the last of 5 parts, with this weapon kit the Gundam is complete. The weapons are not as complicated as they are seen. I have simplify many parts for easier and stress-free build. All parts are designed to be static display model as seen on the presentation image below. If you want the Impulse to hold a sword, you have to modify it yourself. The template contains 13 pages of patterns for build a rifle, a shield, two swords, a boomerang and a booster backpack. Next big poject is continuing Jaeger Striker Eureka model, also Cristiano and Suraj will still continue their Iron man Gemini and Gypsy Danger Jaeger model. 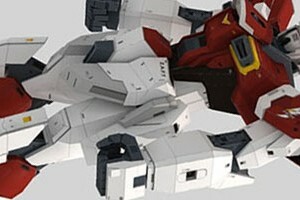 This template contains of 6 pages of patterns for both Sword Impulse Gundam arms. The page begins with the left parts. The right patterns parts use same numbers as the left one, they are only mirrored parts. Many have asked me what happen with the other mecha project, the jaegers. I decided to finish this Sword Impulse first before I continue with other mecha. After this arm parts, it will continue with the last one, jet pack / back pack with wings, swords, shield and weapon. All at once. They all should be faster to prepare, because there are no more moveable parts. This is the first time I saw the recolor version of a paper model template resulting a very much better than the original one. 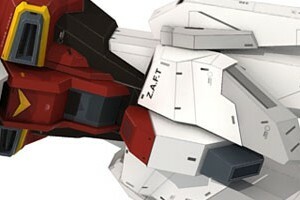 Yes It was a red Sinanju (Gundam) template, and then recolored and retouched by Suprayogi from Yogyakarta - Indonesia. You can download the templates at below, I already upload them part by part. You can use the original assembly instructions that also found on this website. 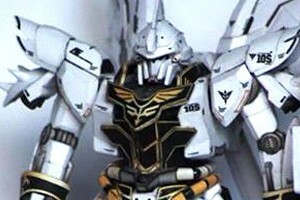 Model on the picture was build by Haris Rakhman Hidayat from Malang. Haris made it using BC paper / plain paper 150 gram, PVA glue and a bit of CA glue and finished it with clear lacquer coat. Surprisingly Haris printed and build it by not following the original paper size, he printed on A6 size, half size of the original one (A4). When I work on Jaeger model I thought there is still one model which doesn't have its next part for so long, some people also expressed their needs for the next part on PR Facebook page. So I decided to finish the next part of Sword Impulse Gundam first before making new "big" project. I model this leg part quite fast, because I simplified its shape in some parts, coloring and instructions took more time. Also I have to stop the process because I have to do a simple commissioned paper craft design first. The template consist of 19 pages of patterns. The assembly instructions mainly cover the left leg part.